We are manufacturers of a range of Biodegradable Cups, Biodegrable Coffee Cups and Biodegradble Coffee Filters. All our biodegradable cups are manufactured from our state of the art biodegradable composite, mainly composed of bamboo or rice husks. 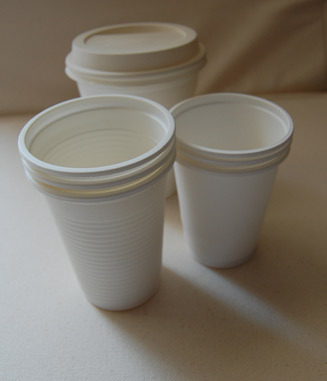 We also have are able to supply biodegradable cups from other materials including PLA corn starch biodegradable plastics, and biodegradable paper pulp. We can supply biodegradable drinking cups, biodegradable coffee cups, biodegradable coffee filters and more.